In a Daily Herald article written almost exactly 2 years ago, the writer described Utah as “drier than the Sahara” during the winter, and appropriately so. He noted how this intense decrease in humidity caused many illnesses that season, and the flu ran rampant. This is not a problem that’s unique to 2014, though. Utah has had this problem for many years, and will continue to have it for years to come. So should we all sit back and just accept that we live in an extremely dry community that’s going to lower our immunities and make us sick? Oh, not to mention, low moisture levels can damage your home. No! You should not accept that. Instead, you should invest in a Taylorsville, UT whole-house humidifier. 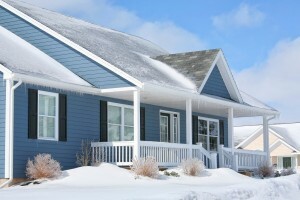 Is Winter Too Late for a Heater Tune-Up? Winter is certainly here, and with it are the chilly temperatures. You may think that this means it is too late to invest in maintenance for your heating system. But it’s not! Even though we’re officially in the winter season, there is still plenty of cold weather to last us, and there’s no reason to risk getting through next few months without a completely reliable heater. If you haven’t had your heater checked in the last year, there’s no better time than now to schedule it. Posted in Heating | Comments Off on Is Winter Too Late for a Heater Tune-Up? This is definitely not the time of year you want to need a new heating system, but nevertheless it may be the case that yours is on the fritz and it’s time to shop for a new one. Many homeowners just look at the sticker price of the heater they’re considering and base their purchase off of that single factor. However, the initial cost of a new furnace or heat pump is just the beginning. You’ll need to pay monthly to keep your heating system running, schedule routine maintenance, pay for repair services, and replace it once it breaks down. Finding the right heater to match both your needs and your budget can be a complicated process, but it doesn’t have to be. Our professionals are on your side to help you make an educated decision. Can Regular Heating Maintenance Really Save You Money? It’s no secret that one of the services we push is that of HVAC maintenance. Heating maintenance, in particular, is one of those services that is as necessary as locking the door to your home each night—it protects your property and your family. If you have a gas-powered heating system, then maintenance gives our professionals to check that everything is in good shape, and that nothing is in need of repair that could cause a fire or some other emergency. Still though, customers are often still hesitant to invest in heater maintenance, because they simply don’t see the cost benefits. Why pay for a service for your heating system when energy costs are already so high these days? Well, there are a number of reasons to do so. Keep reading to learn more. Posted in Scheduling Regular Heating System Maintenance | Comments Off on Can Regular Heating Maintenance Really Save You Money?